Bernadette comes with many years in the field and is Dr. Irons' Office Manager. She has great customer service and optical skills. She is a proud mother of three and two granddaughters. She loves spending time with her family and traveling. She enjoys taking care of her patients. Bernadette will go out of her way to meet the needs of others in a professional and caring manner. Stop by and let Bernadette be part of your eye care needs. BLINK was happy to welcome Holly to the team in 2010. She has been in the optical field for over seventeen years. When she answers the phone , she will greet you with a smile on her face and in her voice. Holly is married to our optician, Jim. They have two grown girls and three grandchildren. She enjoys spending time with her family and reading. 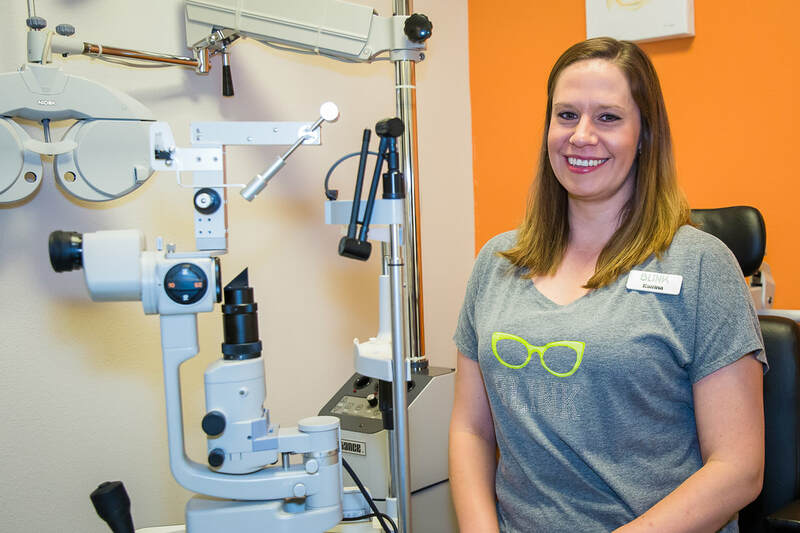 ​Call or stop by BLINK and let Holly be a part of your important eye care needs. Jim started his journey at BLINK in 2014. He has been in the field for over thirty-five years and knowledgable in all types of frames, lenses, materials and safety wear. Jim is married to our patient care coordinator Holly, and they have two children and three grandchildren. Jim enjoys playing the trumpet in his band, marathon running, and outdoor activities. ​Call or drop by BLINK and let Jim help you choose your favorite pair of eyewear. Tana is our billing specialist and has been with Blink for three years. She has over seven years of experience in multiple areas in the field. Outside of work she is a full-time mother and wife. Tana loves spending time with her family and traveling. Call or drop by BLINK and let Tana help you with your eye care needs. Moni has been with Blink since January 2013. 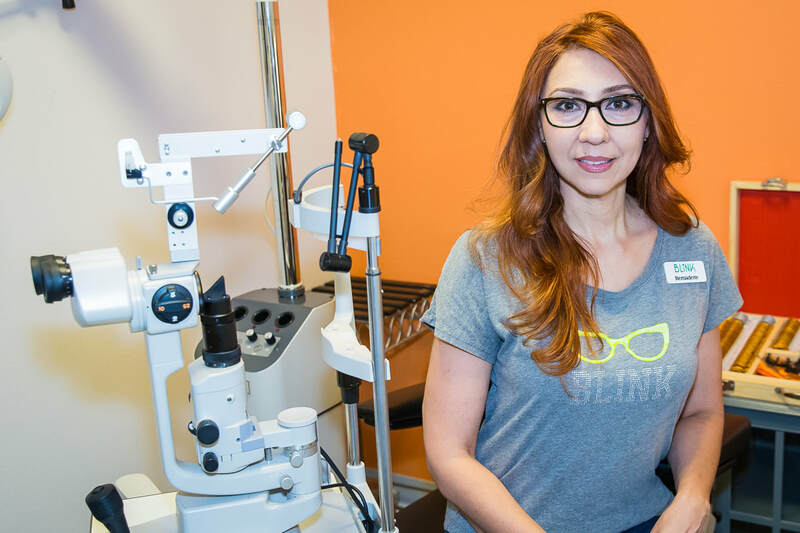 She has over 14 years of experience in the eye care business including the fitting of contacts and specialty lenses. Moni was born in Santa Fe and has been in the Rio Rancho/ABQ area since 2007. She recently graduated from UNM with a degree in Psychology and Sociology and is currently attending NM Highlands University to obtain her Master’s Degree in Social Work. She is happily married and the mother of 3. She enjoys spending time with her family. 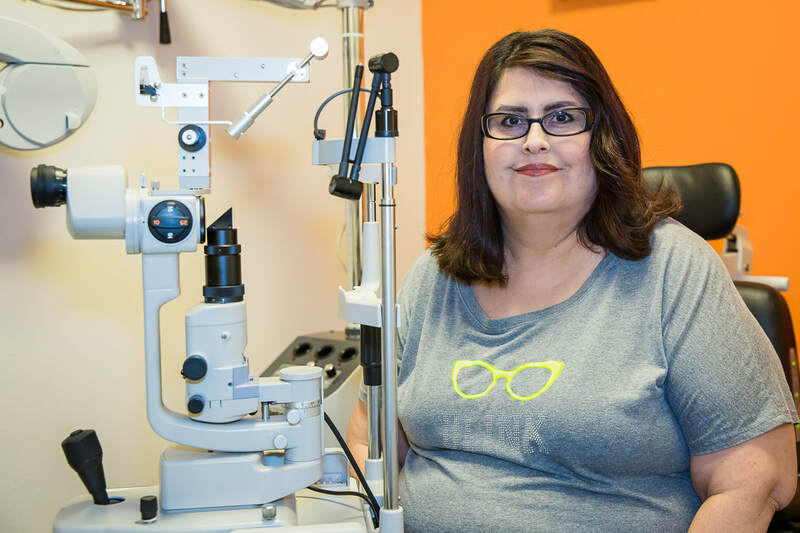 ​Call or stop by and let Moni be a part of your very important eye health! Marisa started with Blink in 2014. She is a full-time student at the University of New Mexico and is studying Biology. 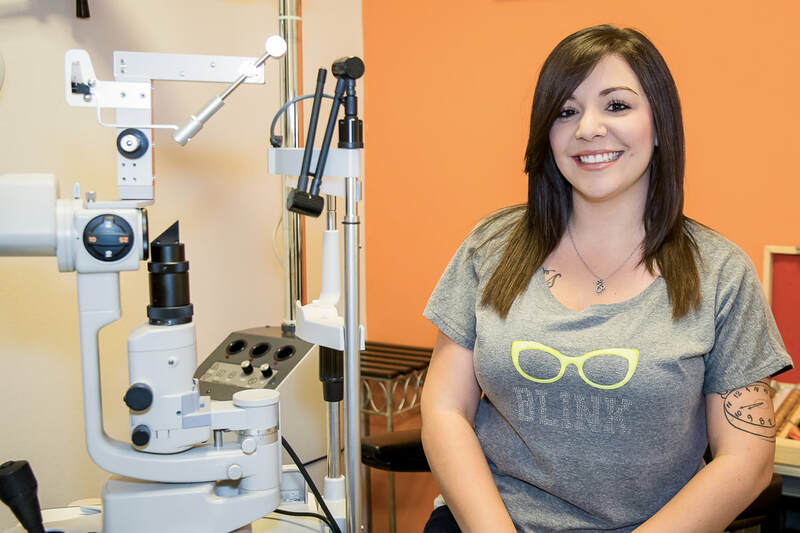 Marisa plans on heading to Optometry school as soon as she has wrapped up her undergraduate degree at UNM. She enjoys playing volleyball, working out and spending time with her boyfriend and dog Dexter. Marisa has learned so much during her time at Blink and can't wait to help patients! Drop by and allow Marisa to help you! Juanita Barela, is our check out specialist and aids in billing, and other areas as she has years in the field and is bilingual. She is an Albuquerque native and recently returned to New Mexico after supporting her husband’s military career. During that time, she enjoyed working in the Optometry field helping patients. Make sure you stop by and see Juanita before you leave the office. Katrina is has started her career in the optical industry a year ago, here at Blink. She is a New Mexico native, born in Los Alamos, and now resides in Albuquerque. She enjoys coaching girls basketball, volunteering for New Mexico Siberian Husky Rescue, and spending time with family and friends. Make sure you allow Katrina to help you choose your favorite pair of eyewear! Brianna started her journey at Blink in 2017. She is a native New Mexican and just moved back from Oregon. She has spent time in the medical field previously as a Dental Assistant. Currently she is attending CNM in addition to serving at Grindstone. She loves traveling and her dog Presley. Make sure to say Hi to Briana and let her help you with your eye care needs.